HELLO! How the hell are ya? 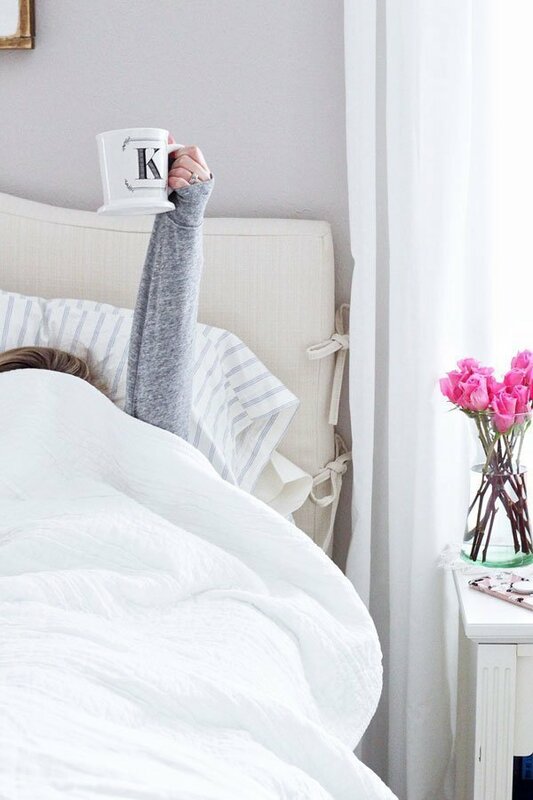 After several days away on vacation, it feels good to be back … minus the whole sore throat/head cold thing that I’m battling, but overall I’m happy to get back in the swing of things. 😉 ICYMI, we were away at Disney World last week for the third year in a row. What can I say, we obviously can’t get enough! Since I can’t stop scrolling through all our photos, I thought it would be fun to share some Disney vacation snaps from my iPhone. 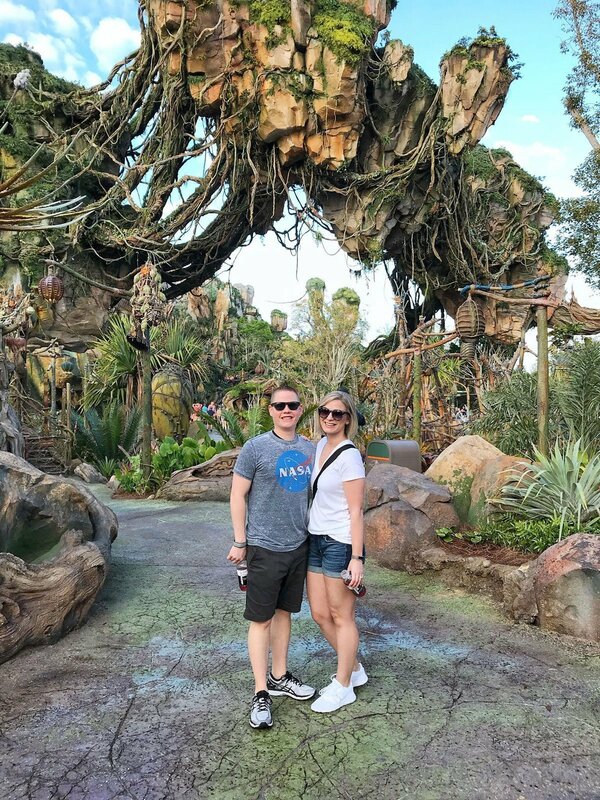 Part of the reason we decided to head back to our happy place again was because we just missed the opening of Pandora: World of Avatar at Animal Kingdom last year. Both Ryan and me are fans of the movie (#nerdalert), so we were pretty stoked to see the whole thing come to life. Overall, we weren’t disappointed, but it also wasn’t as WOAH! as we thought it would be. Pandora actually only is a really small part of Animal Kingdom, so you can walk through all of it within five to 10 minutes and be finished. That being said, I’m sure it takes on a much more magical feeling come nighttime when everything is lit up and the bio-luminescent features come to life. We had morning extra magic hours that day, so there was no way we were going to make it that late … this girl needed a nap! That being said, Flight of Passage is seriously one of the coolest rides/attractions that I’ve ever been on. You know Soarin’ at Epcot? Flight of Passage is that on steroids. You seriously feel like you’re in the movie! We wanted to go on it again as soon as it was over. Be prepared for a looong wait, though … like 3.5 hours. Unless you luck out like us and make friends with a cast member that ends up giving you a fast pass after waiting in line for only five minutes. Yep, true story! That made the whole experience even better/more special. The food in Pandora also is pretty decent, especially if you like healthier options when it comes to park food. We were impressed! Also helps that I received a free birthday cupcake. Never EVER deny free-anything at Disney World. Mmkay, enough about Pandora. 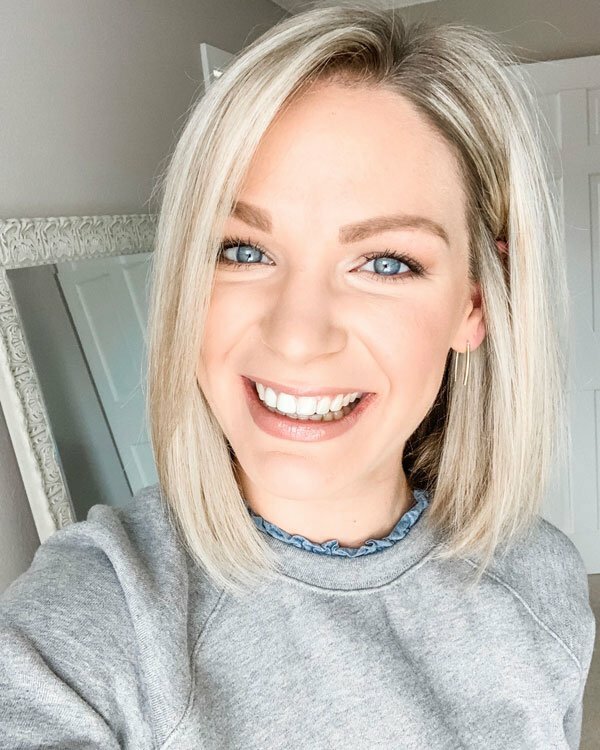 This wasn’t supposed to turn into a full on review of just that, so if you have questions (or want me to do a full post on it), shoot me an email! 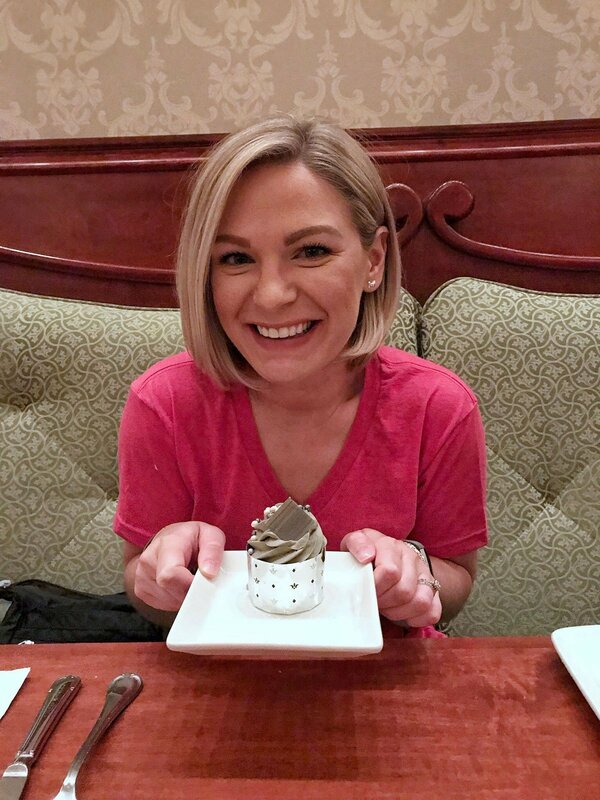 On my actual birthday – Feb. 27 – we spent the day (again) at Epcot. We really lucked out with the weather, not just this day but every single day. It was perfection! Epcot will always be up there as one of our favorite parks. There’s enough rides and amusements to keep us entertained, but we also enjoy just strolling through the World Showcase and eating/drinking our heads off. Now I’m dreaming of churros in Mexico … yes, please. 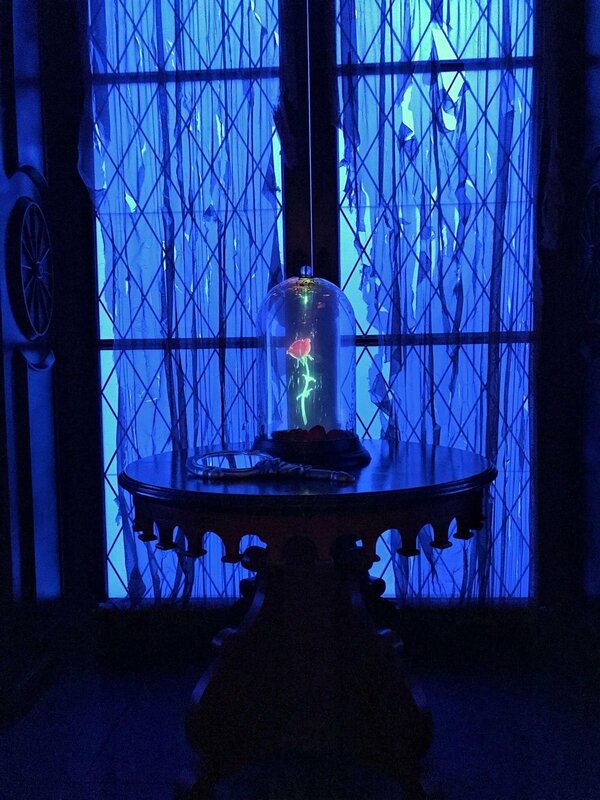 Our Beauty and the Beast silhouette shirts are from Etsy – so cute, right?! Really comfy, too. 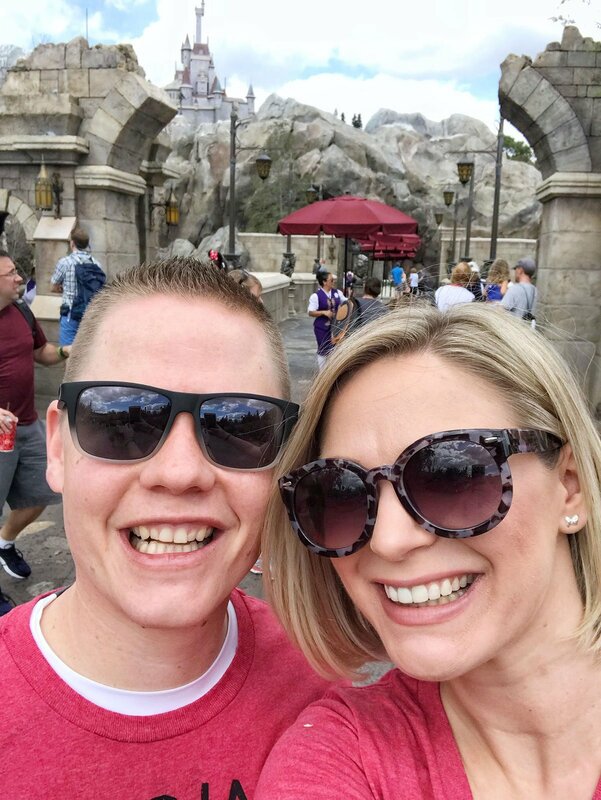 Ryan and I typically are on-the-go – we always like to be doing something and can’t sit still for long – so, I’m glad that we took a day out of this trip to just do whatever. Shopping, lounging by the pool – it really was so nice to just sit back and enjoy. 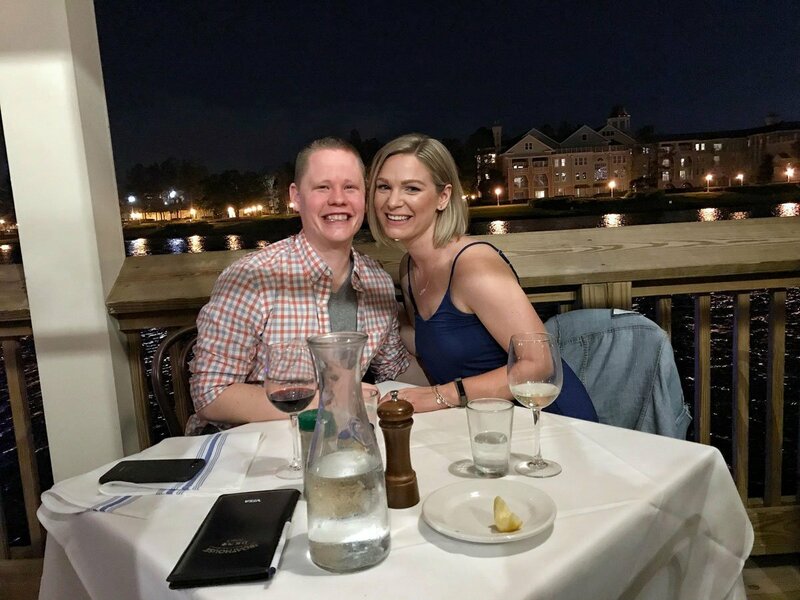 We treated ourselves to a fancy schmancy dinner at The Boathouse at Disney Springs. Highly recommend (with a reservation) for good food, great service and a beautiful setting! And of course, we saved the best for last – Magic Kingdom! 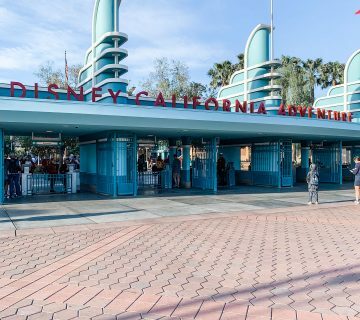 Sure, it’s the most touristy and “childish,” but it’s still our favorite. Nothing makes you feel like you’re at Disney World more than seeing Cinderella’s castle! 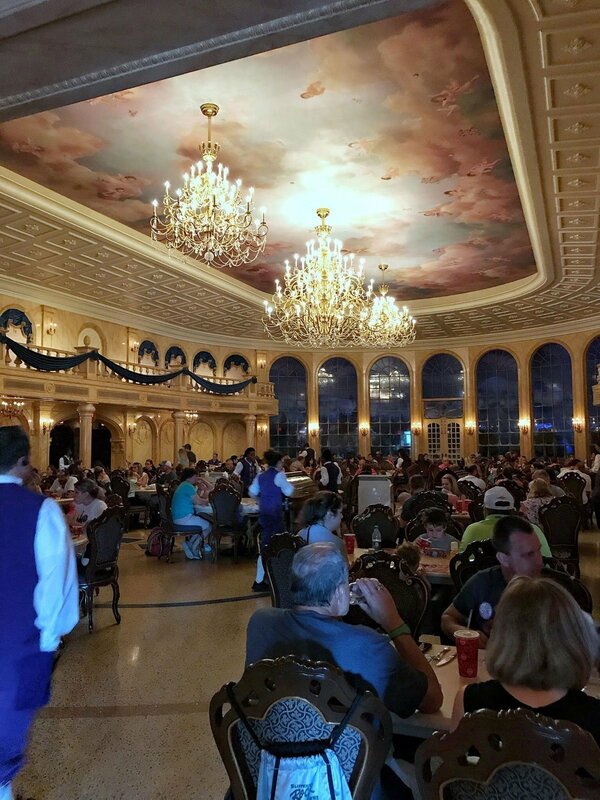 The highlight for us here this year was that I was able to snag a last-minute lunch reservation at the Be Our Guest restaurant! You guys, I can’t tell you how excited I was for this. I have been trying to get us into this damn restaurant for the last two years and scored our reservation only a few days before we left. Love that kind of luck! I may or may not have cried a little when we walked in and caught the first glimpse of the ballroom – ha! Such a loser. 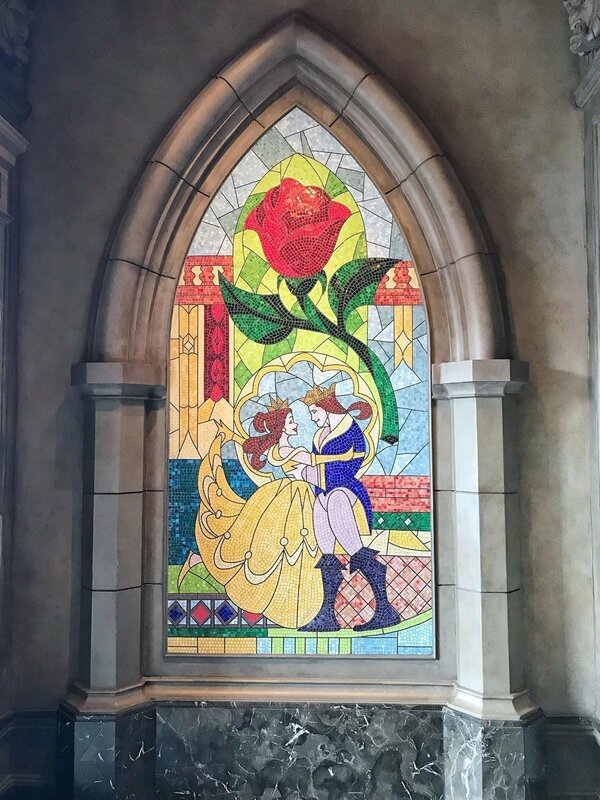 They really did bring the Beast’s castle to life, even down to the rose in the West Wing and iconic stained glass scene from the original animated version. I’ll end our Disney vacation snaps from my iPhone here before this post turns into a novel! 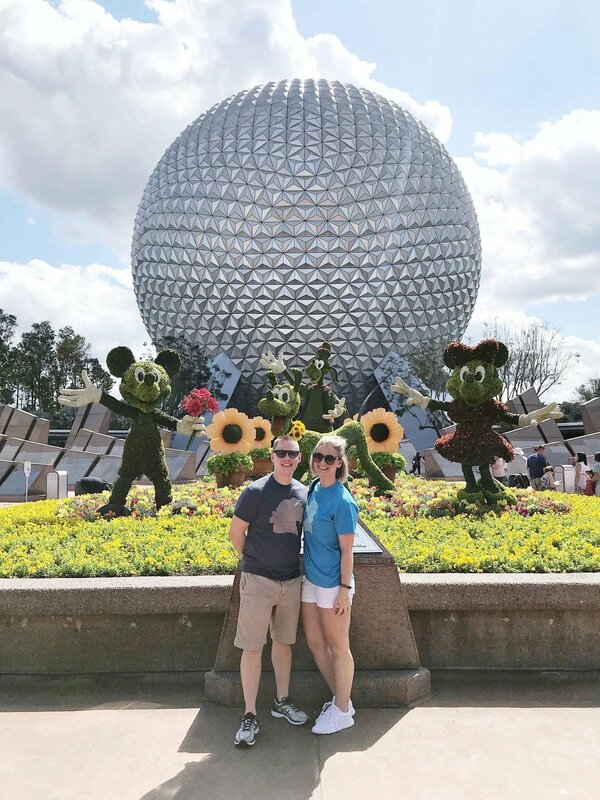 We still purchased Memory Maker to make sure we got lots of high-quality photos together (I wrote a whole post about why Memory Maker a must-have for any Disney vacation), but nothing beats capturing unplanned selfies and memories. I’m glad that Ryan and I were able to enjoy lots of new experiences this time around! That’s why Disney never gets old to us because there always seems to be something new to see or do. I probably won’t do a full recap of posts – unless you want to see more pictures/want further details on the different things we did? 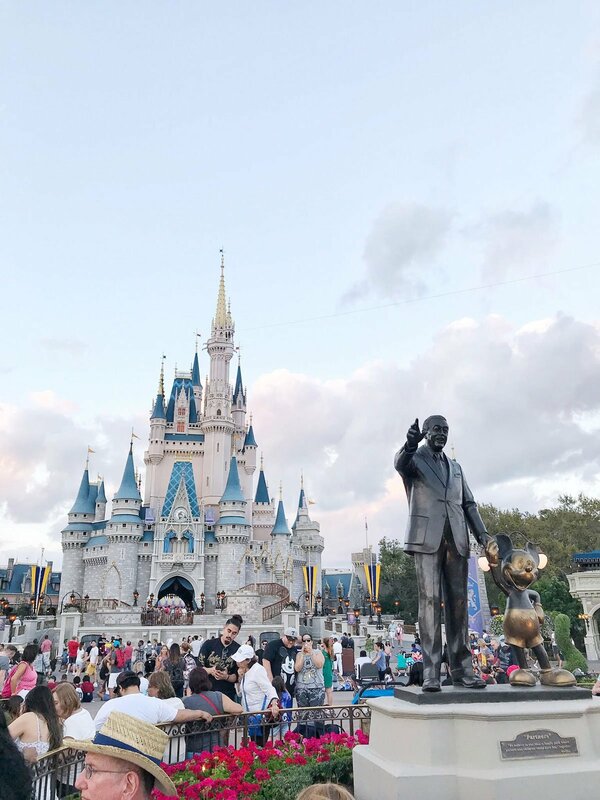 – so be sure to check out my travel section if you want other Disney trip tips and insights! Thank you! That really was a highlight of our trip, so fun and special! These pics are so fun! I love seeing when you all visit because you always look so happy. Also, just loving your hair! Ugh I just love Disney so much! I’m so glad you all enjoyed your trip! The Boat House is our fave!! Thank you! It was so fun. We loved The Boathouse, such a nice restaurant! ahhhh love love love it. i want to go back but KC is pretty against it. boo. i totally cried when i walked into be our guest, NO shame in my game. i have never been to animal kingdom, one day! by the way, absolutely loving your hair! so cute! Haha, boo to KC! I’m lucky that I converted Ryan, and he’s just as into it as I am now. Maybe one day when you have kiddos! I almost texted you when we were at Be Our Guest because I figured you were the only other person alive that would understand my excitement/tears, lol. And, thank you! So short but loving it. 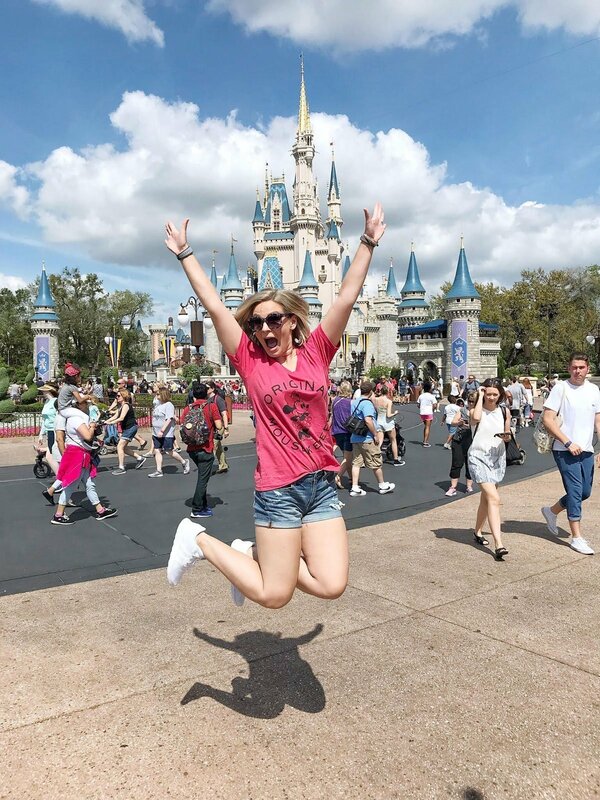 I totally agree with you that you can have new experiences at Disney all the time which is why it’s worth it to go back! It looks and sounds like y’all had a great time and I love your beauty and the beast shirts! And hooray for getting into Be Our Guest! We went before you needed reservations even for lunch and I still can’t get over how perfect it is! You’re so lucky that you were able to get in there before reservations were required! I had been trying for the last couple years, so that’s partially why I was so excited that we lucked out. Persistence finally paid off! Sounds like you had an awesome trip! I haven’t been to Disney World since 2nd grade so I’d be intrigued to go back and see everything! Girl, so much has changed! Even with us going the last three years so much has changed since then, too. So much to see and do. Hopefully you’ll make it down there someday! Love seeing all your pics and I’m so glad you both had such a good time! Thank you for watching Finny so we could go have some fun! Oh gosh, you need to go! So fun!